That lipstick was HOW MUCH?! I'm not afraid to admit that the very first vampy-colored lipstick I've ever bought in all 22 years of living can be purchased with quarters. Yes, you read that right - QUARTERS. Four of them to be exact! Once upon a time, a broke college bitty made her way to the town's local department store, AKA Super Walmart, with intentions on buying a cheap wine colored lipstick for her date party that night. I'm talking super broke - "help me, I'm poor" broke... $.99 for NYC Ultra Moist LipWear in Mahogany? Done. Not only is this color amazing, but its smooth and creamy as well. As you know, I'm a MAC lip kinda girl, but since NYC Ultra Moist LipWear contains Vitamin E and conditioner, its not as drying. 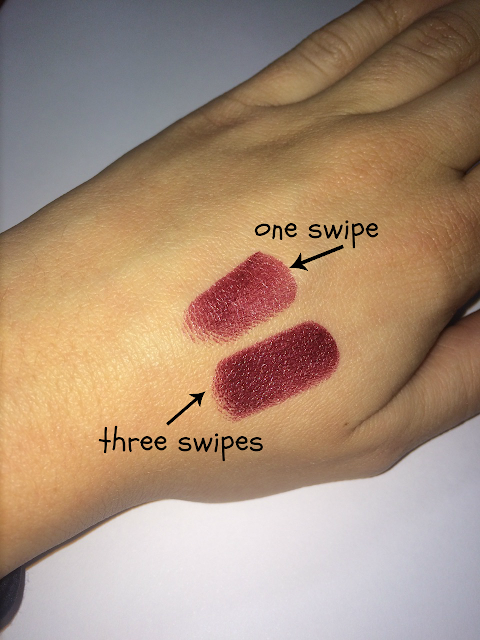 And we all know how ugly a drying dark lip color can turn out to be. 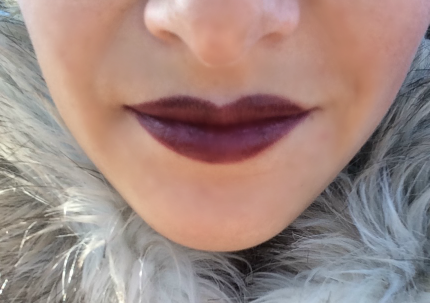 Although this color doesn't last very long due to how creamy it is, I actually still love the way it looks 5 hours later - gives my naturally light lips that just-sunkissed look. The best part is that NYC Mahogany looks good on every person I witness try it. All my friends are hooked. This lipstick always finds a way to make it out with me, and I've probably gone through 5 tubes already. Lana Del Rey once tweeted, "U should feel lucky to have my $79 lipstick kisses all over your face. Ur probably used to those cheap tricks kissin u w their .99 cent lips". Mmm maybe girl, but I think those cheap tricks with the beauty steal are actually the lucky ones here. Guess what? You can get a 2 pack delivered right to your door via Amazon here. Happy Smooching!